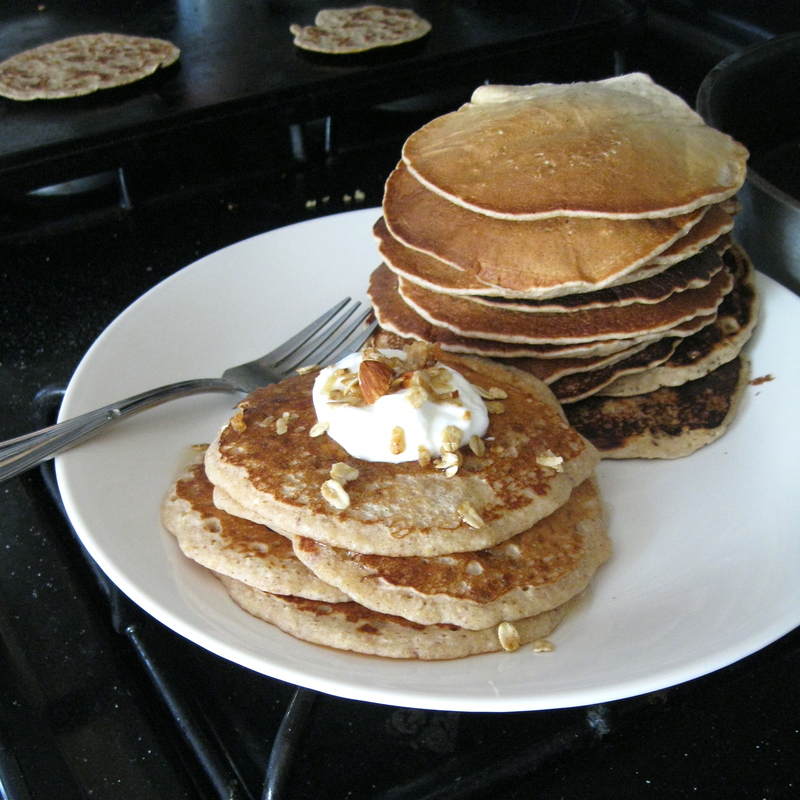 These Three Grain Pancakes were a hit, plus a sneaky way to get something healthy into the bellies of my unsuspecting kiddos. My kids like them because they are sweetened with honey, and I like them because…well, I like them because they are sweetened with honey too, but high fiber wholesome grains aren’t bad either. My kids and I love pancakes for dinner. We could have them every night of the week without complaint. This summer we’ve been trying out a lot of different pancake recipes. And with school out for summer, I’ve had more time to get my kids involved in the process of making them.